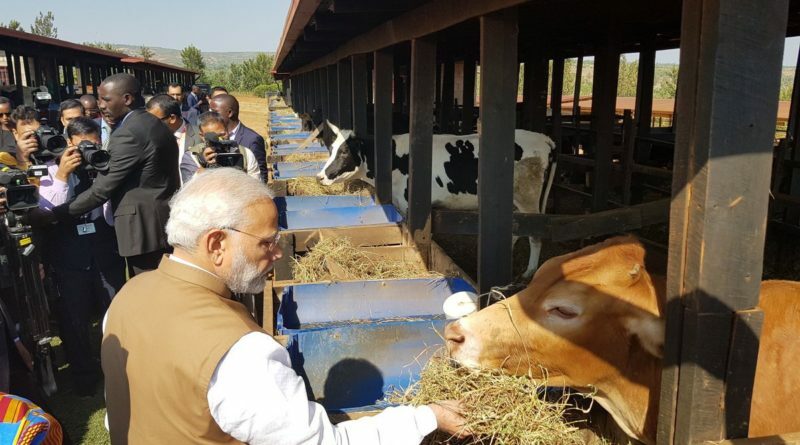 Needy families from a village in Rweru Sector of Bugesera District are all smiles as the Prime Minister of India has gifted them 200 cows in line with improving their lives and contributing to Girinka – One Cow Per poor Family – Programme. 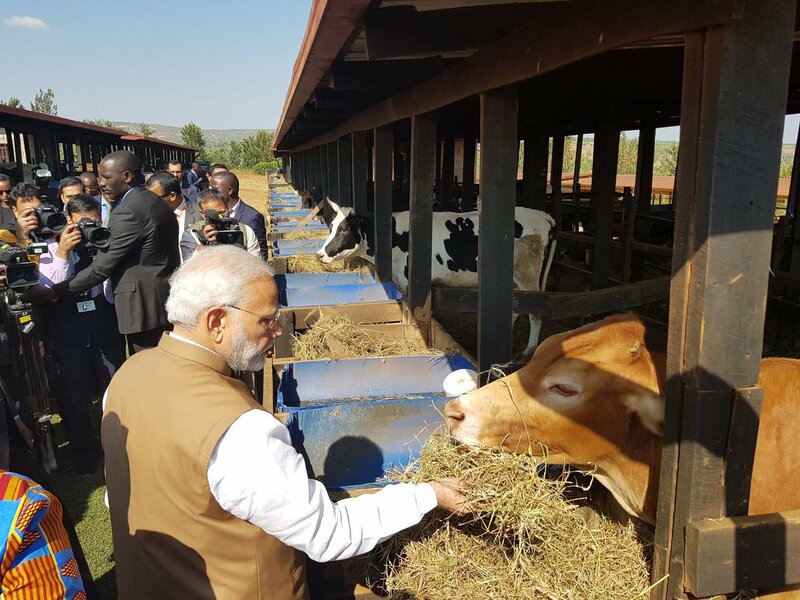 Prime Minister Narendra Modi donated the cows to residents of Rweru Model Village who do not yet own a cow, on Tuesday, July 24, 2018, while he was on a state visit to Rwanda that sought to deepen India’s relationship with Rwanda. The handing over of cows was graced by the presence of the President of the Republic of Rwanda, Paul Kagame, and PM Modi. The program is based on the premise that providing a dairy cow to a poor family improves livelihoods, reconciles communities, and enhances agricultural productivity through the use of manure as fertilizer to foster crop growths. Over 326,964 cows have been distributed to Rwandan vulnerable families as of June 2018 figures since 2006 when Girinka was launched, according to statistics from the Ministry of Agriculture and Animal resources (MINAGRI). 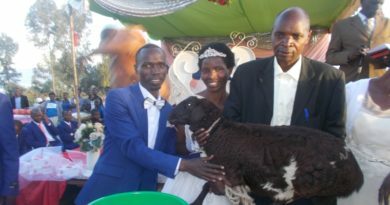 Bosco Kazungu, a father of three children who is among those who received a cow, said that it will considerably improve his life. 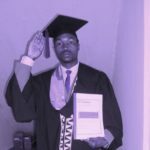 “I was overwhelmed by joy standing side by side with our President and receiving a cow. I would like to thank the Prime Minister of India for giving me a cow and may God bless him,” The New Times quoted him as saying. He said people in India too would be pleasantly surprised to see the cow being given such importance as a means of economic empowerment in villages, in faraway Rwanda. He spoke of the similarity in rural life in the two countries. 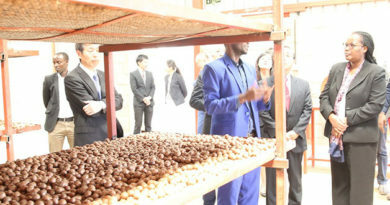 He said that the Girinka Programme will help transform villages in Rwanda. Modi said that the aspect where one receiver of a cow under Girinka should pass its first heifer on to a neighbour was key. “This leads to such unique social bonding that can’t be described. The cow is not only the source of milk and other dairy products and a source of economic development, but the entire concept of gifting a cow is so unique,” he said through a translator. “On behalf of the people of Rwanda I want to thank you for your generous gifts to the Girinka Programme which is a big part of our National development program,” Kagame said. “He donated 200 cows and every family will get a cow. As usual a family will get a pregnant cow and when it calves, the first beneficiary will pass a heifer on to another needy family. But, the rest of the cows born after that will all belong to the owner,” he told a crowd of cheerful residents during the delivery of the cows to the beneficiaries. President Kagame urged the residents to take good care of the cows for optimal yield, and wished them to be able to raise many more and achieve prosperity. It is estimated that 150 households are currently living in Rweru Model Village that was built by the government. The word Girinka is loosely translated into ‘may you own a cow’ and describes a centuries-old cultural practice in Rwanda whereby a cow was offered by one person to another, as a sign of respect and gratitude. 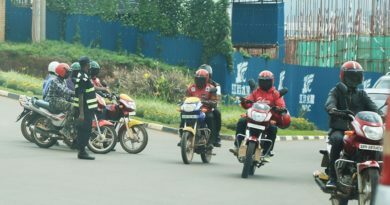 Girinka was reestablished by President Kagame in 2006 in a bid to transform livelihoods of rural most poor people, and alleviate poverty in Rwanda. 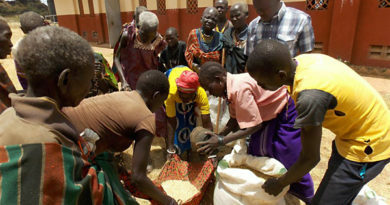 The model is simple; the impact is great, according to the Ministry of Agriculture and Animal Resources (MINAGRI): One cow brings nutrition, sustenance and employment, providing a stable income for a family and is a source of soil nutrients via manure to assist small scale cropping activity. The program was set up with the central aim of reducing child malnutrition rates and increasing household incomes of poor farmers. These goals are directly achieved through increased access to, and consumption of milk, by providing poor households with a heifer. The government spends about Rwf4.5billion budget to buy cows under the programme annually.